Douglas Blackmon, Pulitzer Prize-winning author of Slavery By Another Name, will discuss his new documentary film, The Harvest. 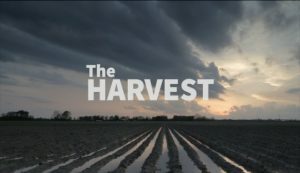 The Harvest tells the story of the struggle to integrate public schools in one small Mississippi Delta town as seen through the eyes of black and white children born at the height of the civil rights struggle and the transformation they and all of America would undergo over the next 50 years. Using archival film and footage shot by Blackmon and filmmaker Sam Pollard over the past two decades, The Harvest tracks the experiences of children born when Mississippi was aflame from 1964’s Freedom Summer, and follows as they enter school six years later in the first mixed-race classrooms in Mississippi, rise through youth and into adulthood, and then emerge as leaders of their communities. For many, the benefits of these integrated classrooms were enormous, yet within two decades, most schools in racially diverse areas were once again deeply segregated. The Harvest asks a simple question: Why did this happen?